Portable / Mobile Incinerator is one of the most effective waste treatment equipment applicable for waste created by hospitals, medical, municipal, animal waste. This device is designed forquick and safe disposal. 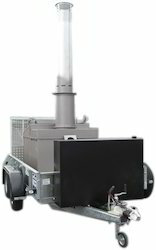 Portable / Mobile Incinerator is one of the most effective waste treatment equipment applicable for waste created by hospitals, medical, municipal, animal waste. This device is designed forquick and safe disposal as and where required. This system comprises of primary chamber.The combustion chamber is well insulated. The incinerator reduces most combustible solid waste to nearly 2-3 percent by volume and 5 %by weight. AVAILABLE LOADING CAPACITY: 5, 10, 20, 25, 50 Kg/Hr. ** Note:-The content of the product and specification are subject to change without prior notice for continuous improvement. 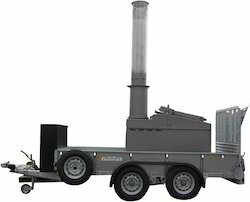 Looking for Portable Incinerator ?